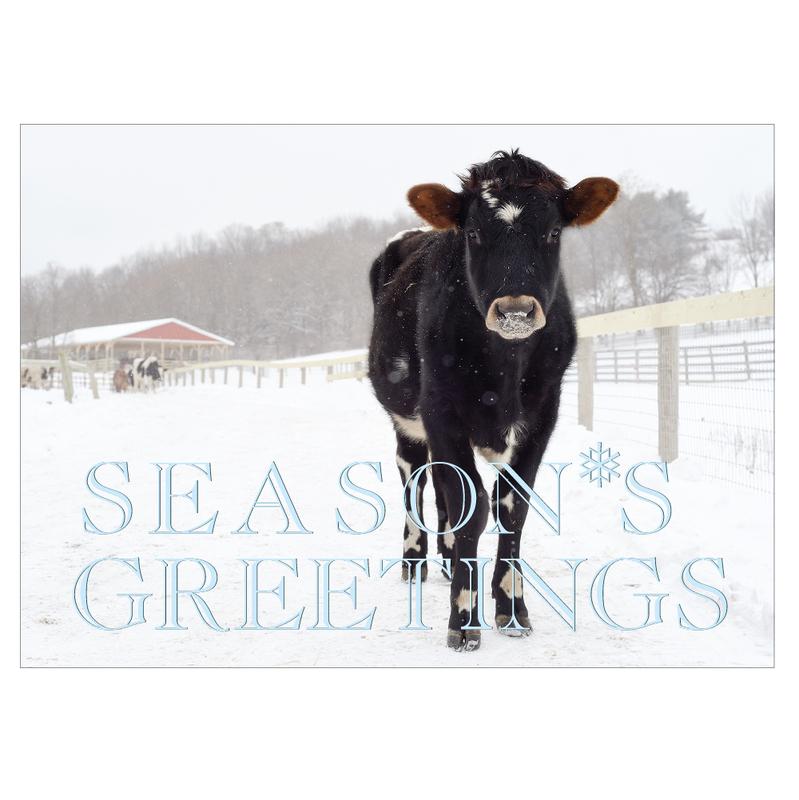 The holidays are a wonderful time to celebrate the beauty that abounds when we put compassion first. 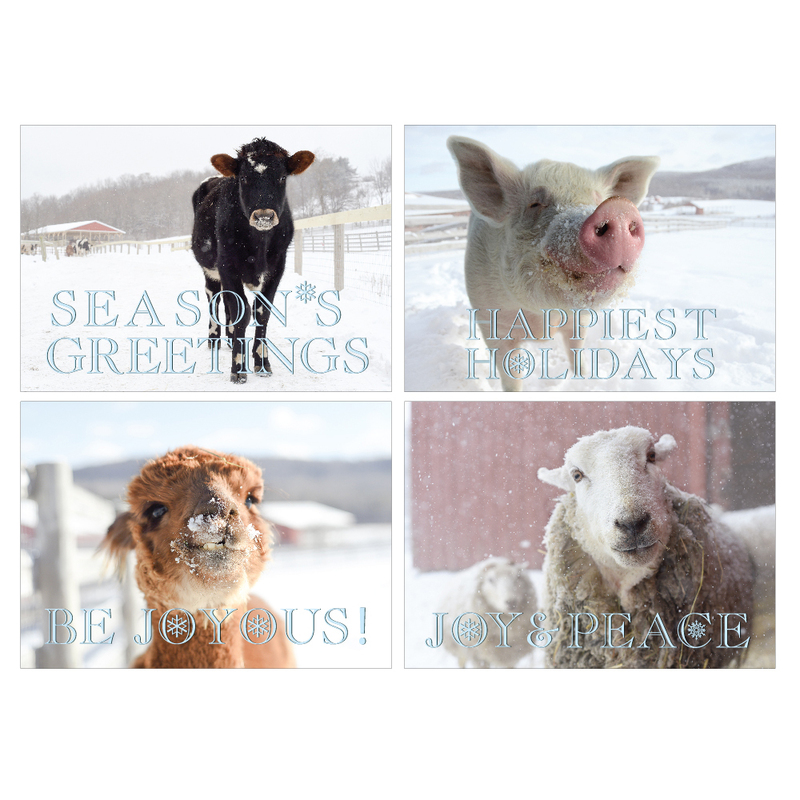 Farm Sanctuary’s holiday cards are a great way to honor the picture-perfect lives our rescued residents are free to enjoy while inspiring kindness for other farm animals just like them. 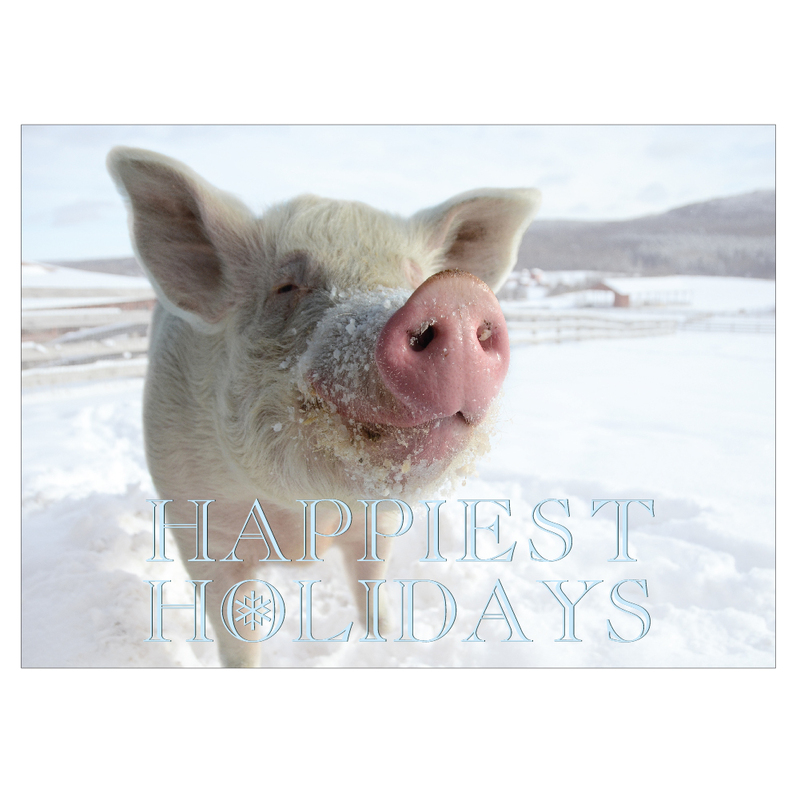 Seeing a rescued animal who’s now happy and loved is enough to warm the heart, no matter what weather the season may bring — and because these gorgeous cards help to support Farm Sanctuary’s rescue, education, and advocacy work, your purchase helps pave the way to a warmer, brighter, and more compassionate world for all. 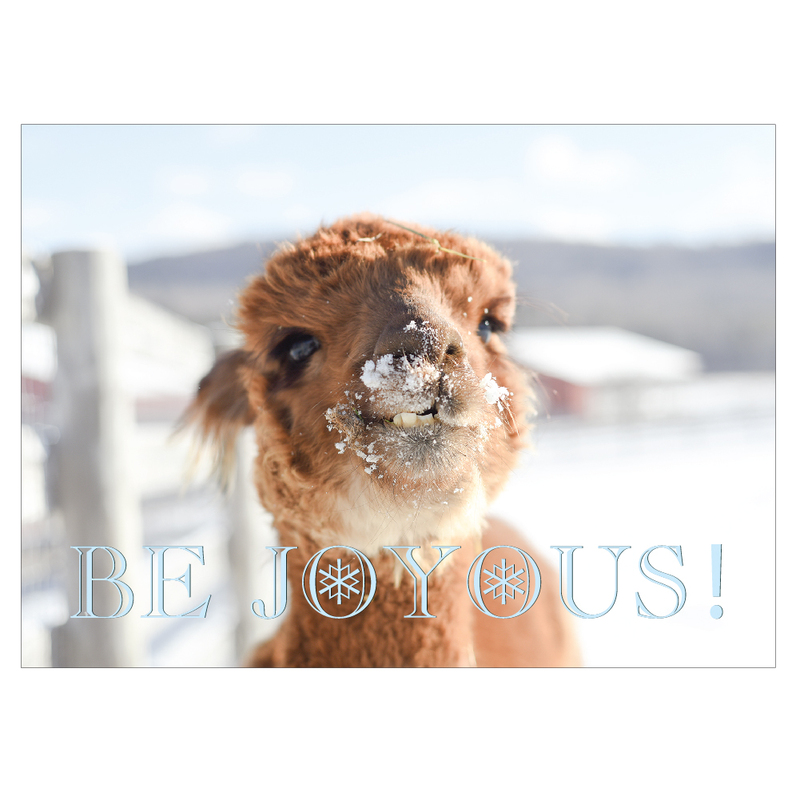 The greeting on the inside of all cards is: "Wishing you a joyous holiday season". 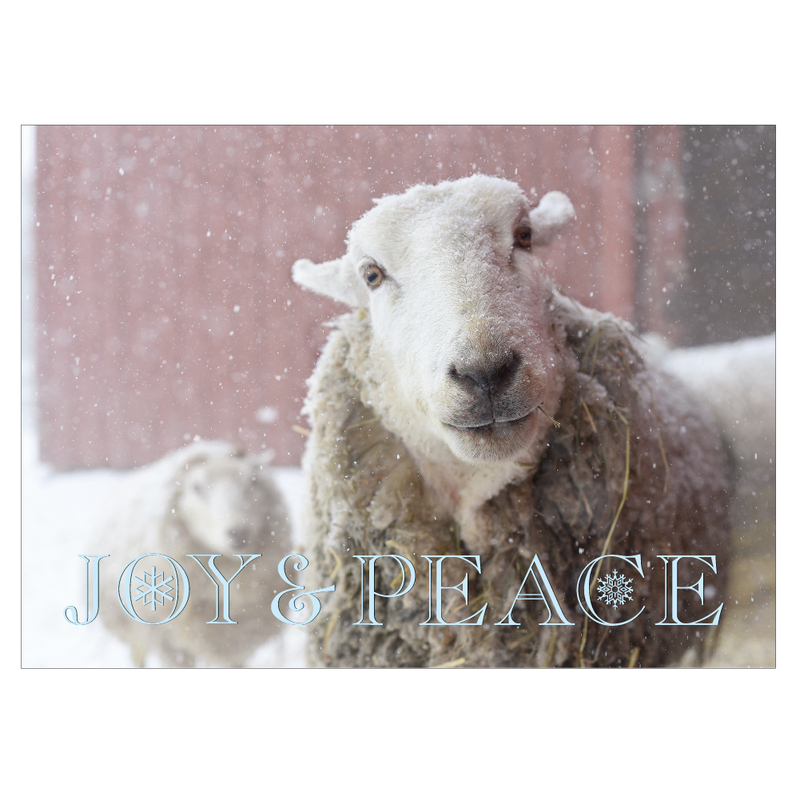 The cards feature The Doctor Pig, Jerome Steer, Jessica Alpaca, and Francis Sheep. 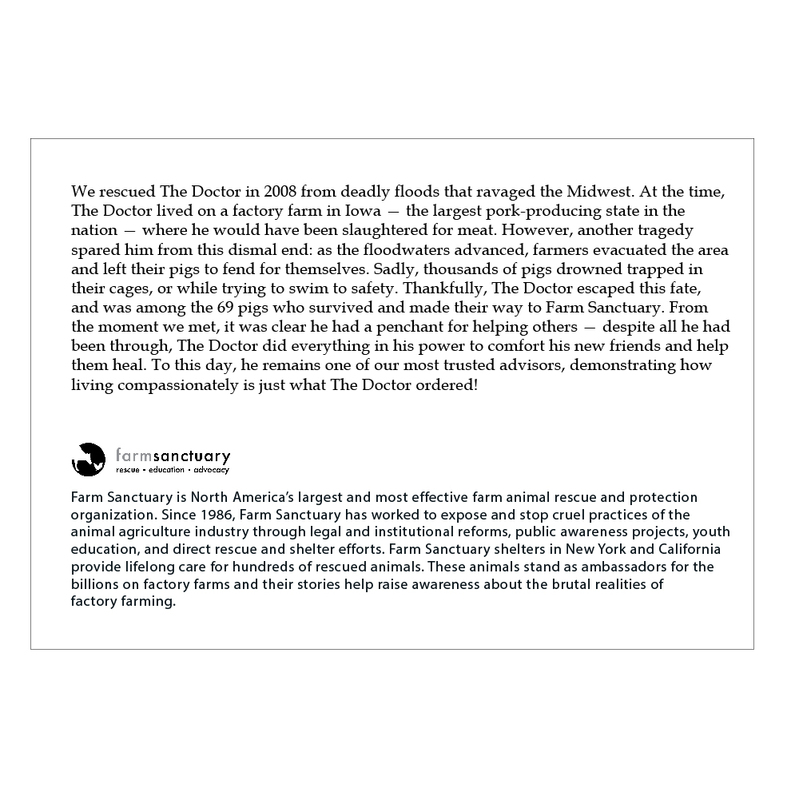 Folded card dimensions: 6.25" x 4.5"
Flat/open card dimensions: 6.25" x 9"